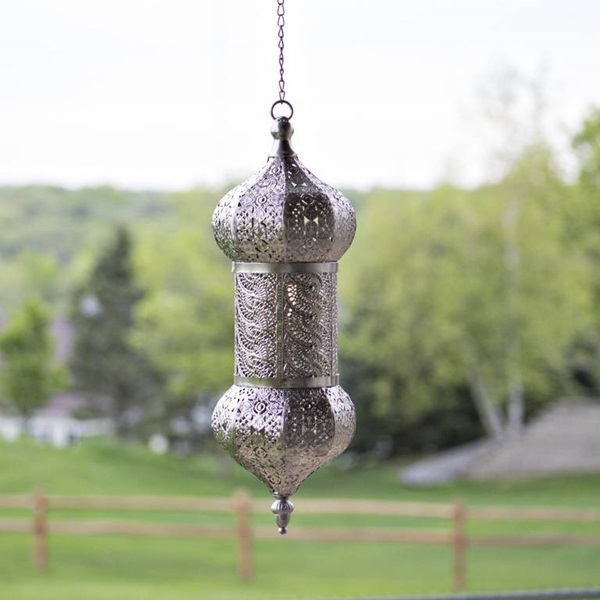 Bring the magic of a Turkish bazaar to your home or patio! 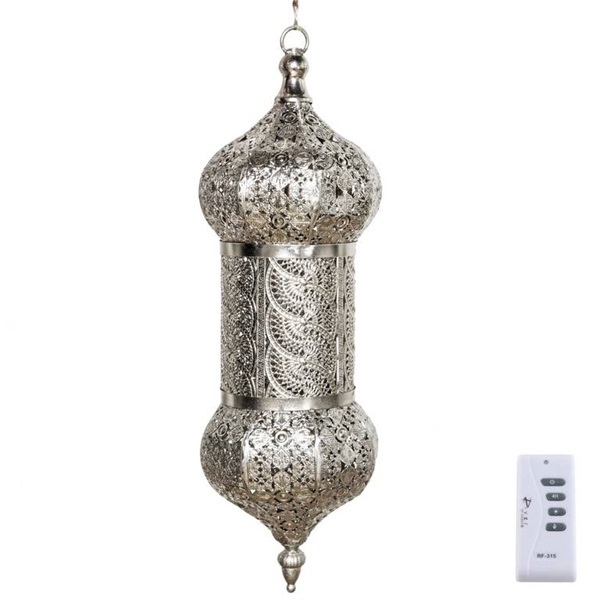 Imagine walking the streets of Istanbul with the sights and sounds of the Orient. Aromas of spices fill the air, and the color of all the different items is an art form in itself. We've brought the lighting from the bazaar to your home! 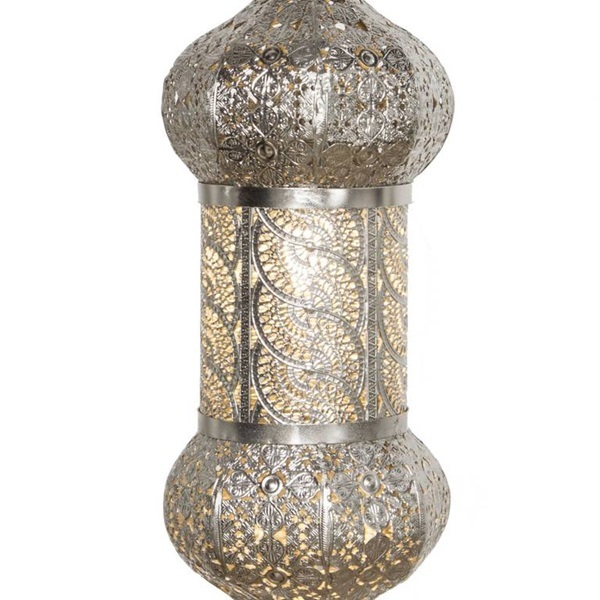 Beautifully stamped iron metal has been transformed into a cylinder shape - guaranteed to add a global flair and a style to fit into any home decor! When lit, the light projects through the open, stamped texture to bring a showcase of shadows that dance and flicker across the landscape. 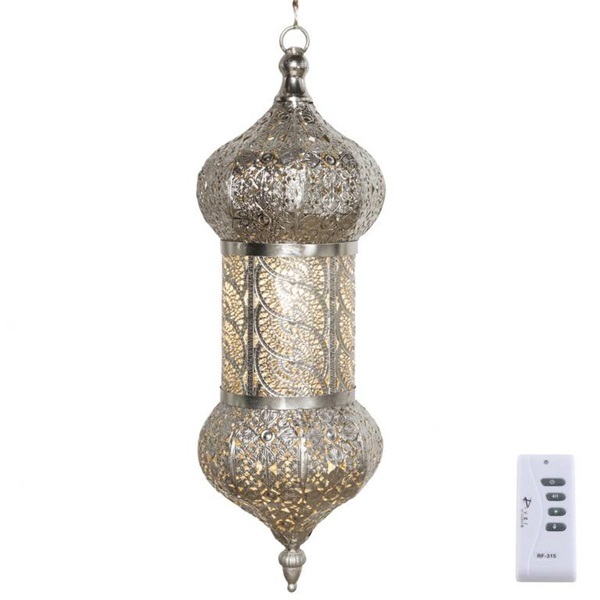 With its silver undertones and patina-like finish, this item features our patented cordless, remote controlled LED technology and is outdoor approved! 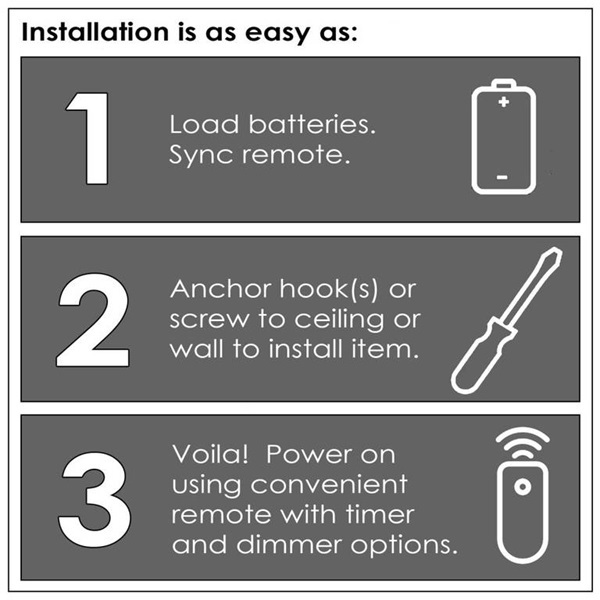 Simply insert batteries and use the included remote to power on/off, set the timer function, dimmer or add flicker. Also includes 120" AC power adapter for a plug-in option, as well as a 23" chain. 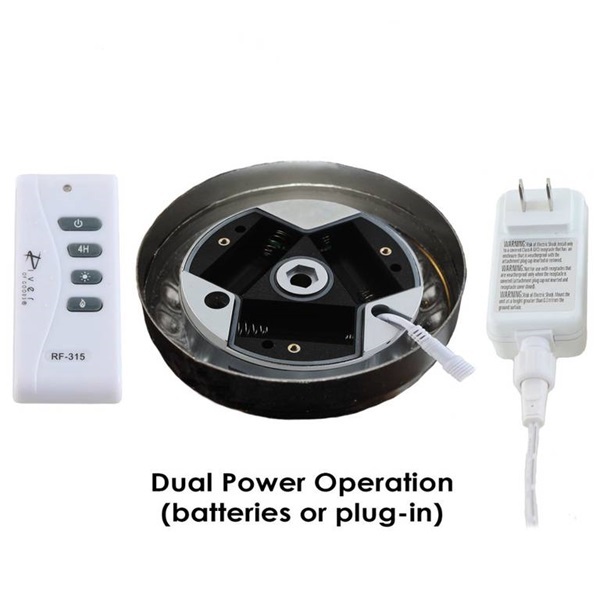 Requires 3 C batteries and 1 A23 battery (not included) for the remote control. 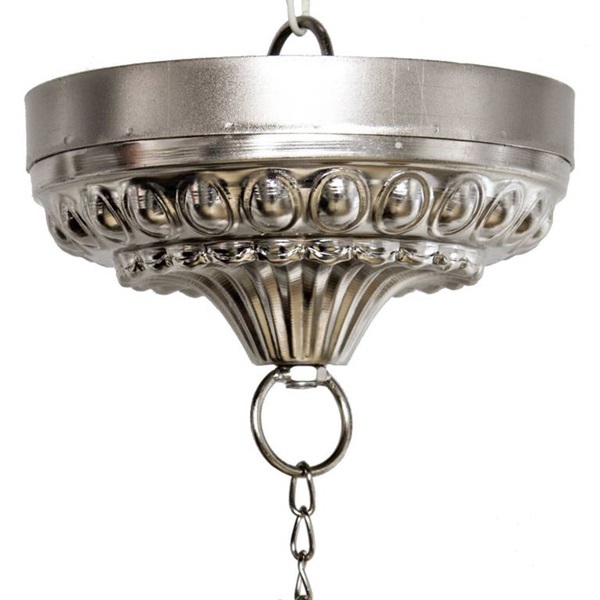 A faux flush mount base at the top allows you to seamlessly display this lamp onto any ceiling for a finished look.